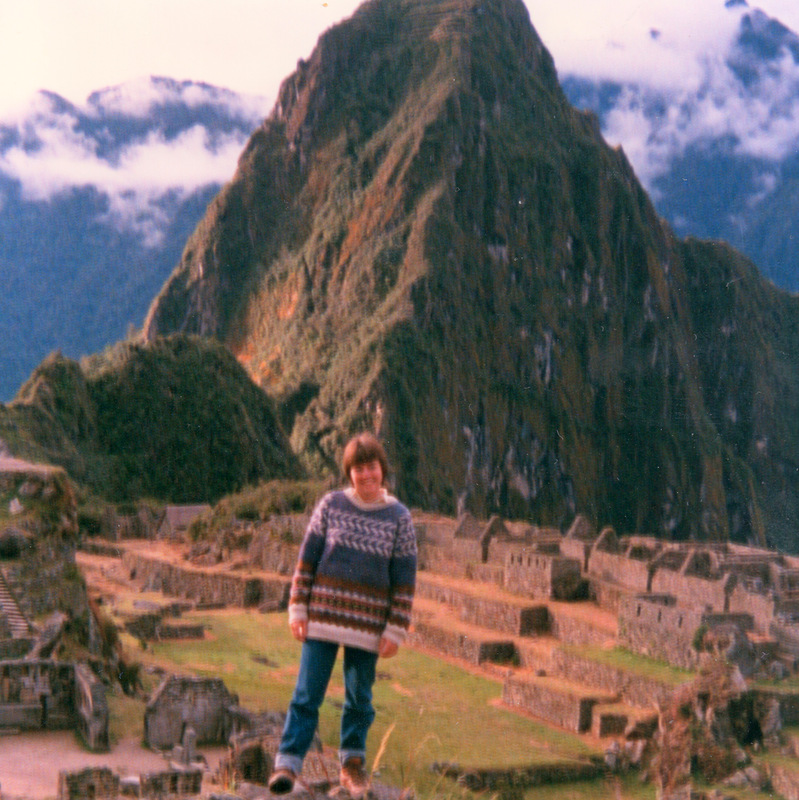 I didn’t intend to travel solo in Latin America; it just happened. 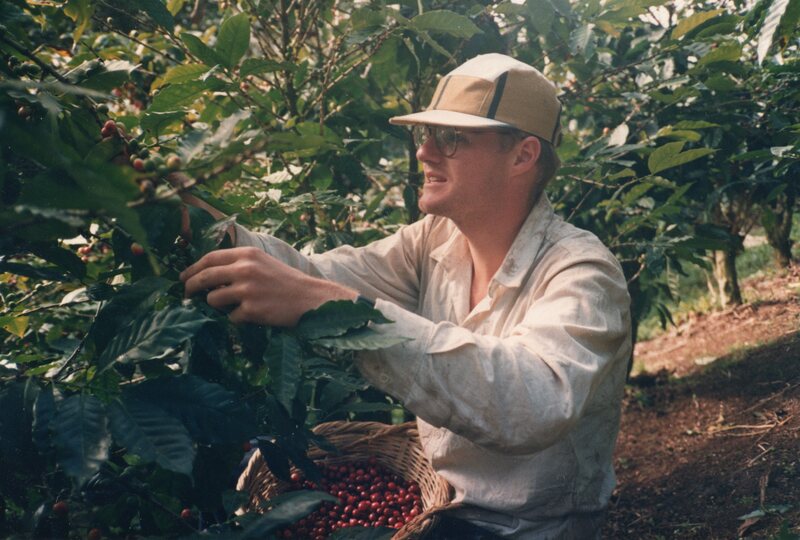 My best friend Alan had talked me into joining a Nicaraguan coffee-picking brigade with him. Afterwards, instead of travelling on together, he got sidetracked into being an extra in a movie about William Walker. It was three months before we met up again, in Ecuador. Meanwhile, I’d visited Guatemala, Mexico and Cuba, plotting my route with help from a guidebook and tips from other travellers. It was my first trip overseas, I was 23 and quite shy, so finding I could not only cope without a rusted-on companion, but actually revel in the experience was an empowering confidence-booster. I decided where I went and how long I stayed, I made new friends and we shared adventures till our paths diverged, and I didn’t have to negotiate and compromise at all. Even so, it was great fun to join Alan in Ecuador and explore its highlands and lowlands together. We were keen to see the wonders of Galapagos, but it was expensive if you weren’t in a group, my finances were dwindling, and unlike Alan, I still had Peru, Bolivia and Argentina to do before heading home. So neither of us went, and although Alan never lost his zest for travel, he never got to Galapagos. He died last year, in 2015. I’d love the chance to revisit Ecuador and see the Galapagos, while remembering Alan and the gifts both his absence and his presence gave me. Antigua is a pretty town, with cobbled streets, old Spanish buildings and whitewashed adobe walls decorated with brightly flowering vines. And it has three spectacular volcanoes nearby. One of them, Volcan de Agua, is 3760 metres high and so massive that it dominates the southern skyline. 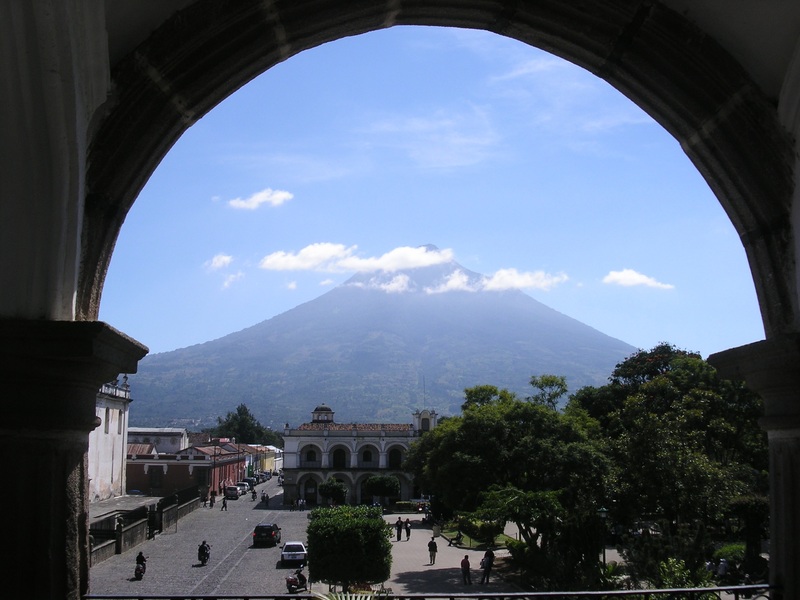 Volcan de Agua looms so large in Antigua that I conceived a fervent desire to climb it. I met a New Zealand music teacher with the same ambition, and we arranged to ascend together. After five hours of steady uphill trudging, I hauled myself onto the crater’s summit. It was an eerie place, pockmarked by rough huts for the workers who maintained the communications towers. Clouds obscured the view, so a German girl and I accepted an invitation to stay the night, hoping for better photo opportunities at dawn. We slept huddled together on a wooden table under a borrowed blanket, cold and uncomfortable but refusing offers from the hut’s owner to join him in his single bed. We arose to find wisps of fluffy white cloud floating below us and fine views of volcanoes Acatenango and Fuego. 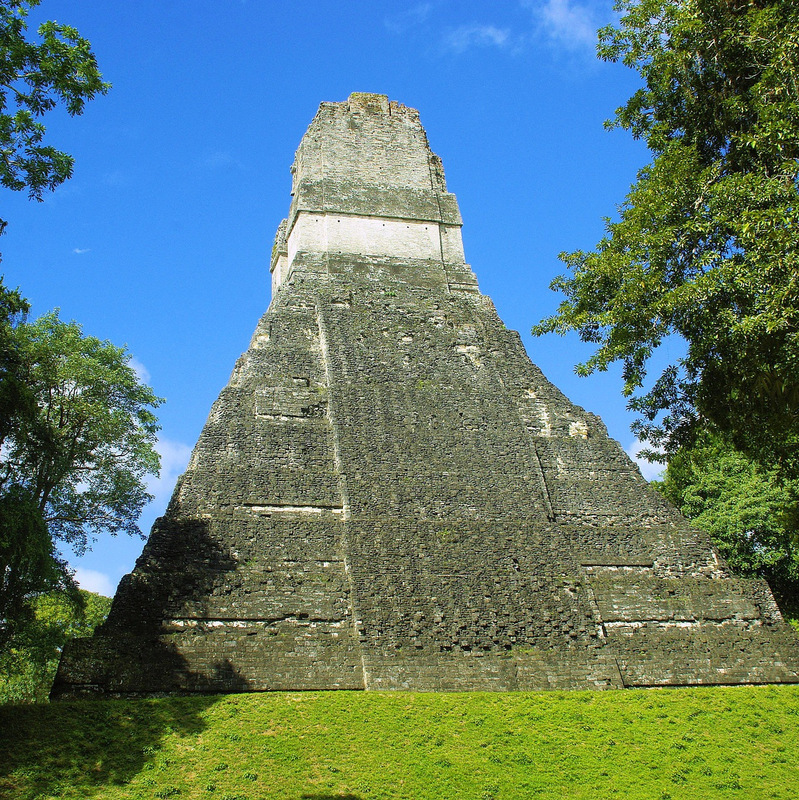 Tikal National Park in Guatemala hosts the remnants of a Mayan city dating back thousands of years. I arrived on a public bus filled with tourists, but because I wanted to inquire about staying overnight, I began my explorations after everyone else. I set off along a track that turned out to have no signs, no people: it was just the tropical jungle and me for twenty eerie minutes. Finally I spotted an ancient stone temple, squat and mossy-looking. Before I could take a photo, an awful roaring cacophony broke out around me. What was that! Jaguars? Pumas? Gorillas on the rampage? I was so freaked out that I turned around and hotfooted it back to the park entrance. I bought a book with a map and found I’d been on a side track, and the ruin I’d seen was the Temple of the Inscriptions. It was the remotest one in the park and sole travellers were warned against visiting it for fear of dangerous beasts – not the kind I’d been worried about, but the two-legged bandit kind. So I set out again along a different track, one much more tame and touristy that led to temple complexes standing on neatly mown grass. There were even signposts! I explored and climbed and took photos for hours. Discussing my adventure later, I was told big cat sightings are extremely rare in Tikal and gorillas are non-existent; the animals that had frightened me so much were probably howler monkeys. I loved Central America, except for Costa Rica. To be fair, I saw it under tense circumstances. I planned to fly from Cancun, Mexico to Quito, Ecuador but bad advice from a travel agent meant my ticket only got me as far as the transit location, San Jose, Costa Rica. I disembarked and found it wasn’t possible to rearrange my flights without going through Immigration. The problem was that I had no visa to enter Costa Rica, a deficiency that agitated the Immigration officials. Their agitation intensified when they examined my passport and found I had recently visited not only Mexico but also Cuba and Nicaragua. I was hauled off to a back room and questioned in Spanish, which I could speak only haltingly. Every item in my luggage was turned upside down and shaken to see if any communists would fall out. They looked through my photos and souvenirs, and scrutinised every piece of paper in my possession, including my diary. I was frightened and annoyed, but most of all worried that I would miss the once-a-week onward flight to Quito. A week is a long time to sit in a transit lounge! Eventually they accepted that I was a simple, if badly-organised, tourist and let me buy my ticket and depart. I’d love to revisit this region (Cuba especially, for its beautiful beaches, cultural vivacity and architectural elegance, but Costa Rica too, for its national parks) – this time with a complete set of visas! Fleeing a ramshackle town where everybody was on strike and rubbish was mounting in the streets, Alan and I washed up in a seaside village with sparkling new holiday units. But the proud owner didn’t notice the cloud of misadventure hovering above our heads. We came to Esmeraldas on the last bus before the general strike began. A long-running dispute between the council and the garbage collectors of this hot, lowland town had brought outraged Ecuadorians into the streets, their mood as ugly as the smell. It was no place for pleasure-seeking gringos. In the absence of public transport, Alan and I beat a hasty retreat on foot. The seaside village of Atacames was like arriving in heaven after a detour via hell. Our holiday unit was brand-new and had a spotless white-tiled ensuite bathroom and a balcony with lounge chairs and a hammock. The owner-manager showed us around, glowing with pride. The best place you could possibly stay, he assured us as he handed over the keys. I flung myself on the bed near the window, claiming possession. It emitted a sharp creak and collapsed. Alan fetched the manager, who put it to rights with a few cheerful bangs. We got ready for the beach. Alan decided the inside of the toilet cistern would be a good place to hide his moneybelt. I said it would probably fall off the float and drown. He plucked it out and sat it on the cistern lid, which was poised on the seat, while he paced the room, looking for another spot. ‘Let’s take it in turns to swim,’ I suggested. I grabbed his moneybelt, everything became unpoised, and the ceramic cistern lid cracked into three pieces on the tiles. We decided it was too soon after the previous accident to disturb the manager again. That evening, Alan went to a party with a pair of English sisters while I opted for bed. I was sound asleep when all they returned and stood chatting on the balcony, one thin tropical wall away from my head. ‘Did you have to be so noisy?’ I hissed at Alan as he walked inside. I switched on the light and began scrabbling in my backpack for the tablets I used to take protein deposits off my contact lenses. ‘Now I’ve been woken up I might as well do my lenses,’ I said peevishly, closeting myself in the bathroom. After letting the lenses soak for fifteen minutes I went to rinse them with saline and discovered one was missing. I inserted the remaining lens and crawled over every inch of the tiles, one eye to the ground. No joy. Alan just grunted when I explained my predicament, so I began dismantling the plumbing under the sink. A slimy black mess oozed from the s-bend onto the clean white tiles. I didn’t find the lens. And I couldn’t put the plumbing back together again. We skulked off next morning, leaving money and a note saying sorry. I still feel guilty when I imagine the proud owner’s dismay. I broke his bed, wrecked his toilet and turned his bathroom into a fetid swamp, but I never faced the music. I wanted a taste of the jungle while in Ecuador, and a friend had recommended Douglas Clark’s four-day treks leaving from Misahualli. So, hoping my recurrent giardia wouldn’t flair up on the journey, I caught a series of buses from the highland capital of Quito, up over a 4100m pass, down the Eastern Cordillera, and into the lowland rainforest. On arrival at the tiny riverside village, I was told Senor Douglas had left on a trip just that morning. I sat in a café feeling gloomy, wondering what to do next. Fortunately, I was rescued by a French couple wanting to make up the numbers for a tour with another guide called Carlos. So we were three, and only needed two more people to be a viable group. At a vegetarian restaurant we managed to capture two German males and an Aussie female. We were set! After swapping hiking boots for gumboots, which we were assured would be much more suitable for the soggy, boggy terrain, we headed down the river in a motorised canoe. Over the next few days, we walked, swam, learned about the rainforest, and tried to spot wildlife. 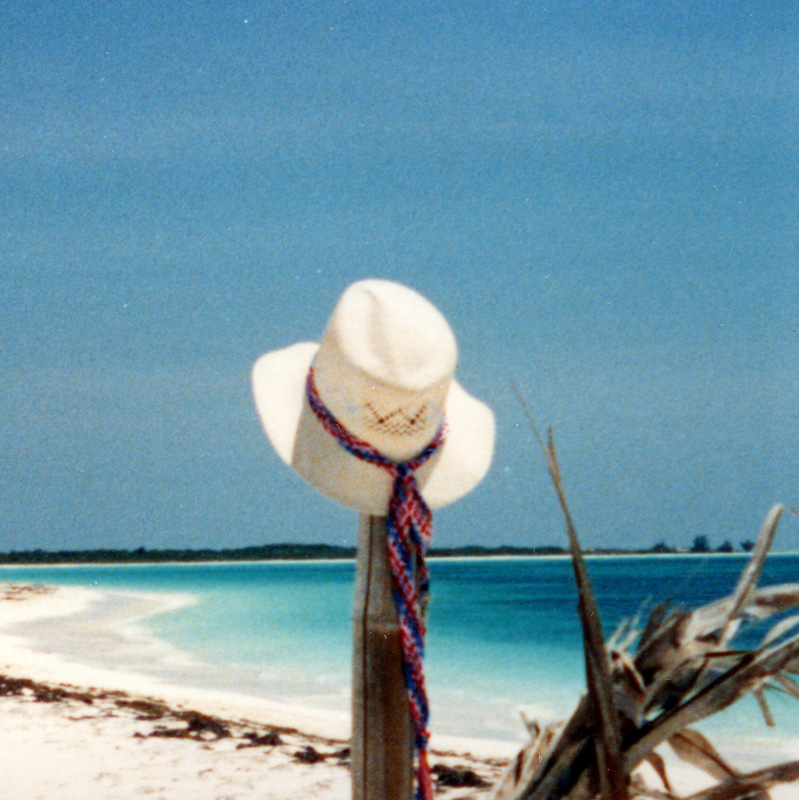 Mostly we saw butterflies, sandflies, and the glow of caymans’ eyes by torchlight. Finally, on Anaconda Island, I got close to the natives. A young orphan monkey climbed right up me and put its arms around my neck, like I was its long-lost mother. It was a lovely end to the jungle adventure. You hear the tales, of course, about the many ways you can be robbed while travelling in South America. As you stand admiring the view, two men come alongside you. They prop themselves under your elbows and lift you in the air, while a third man nicks off with your shoes. Or, as you stroll through the marketplace wearing your backpack on your front to keep it safe, somebody slaps you on the shoulder with a wet, sticky mess. You twist around to see what it is, and someone else whisks the bag right off your chest. The second tale almost happened to me in Cuzco. A beautiful Incan-Spanish city, gateway to the fabulous Machu Picchu ruins. I was in the market, with my backpack on my front. The green goo landed on my shoulder. I didn’t turn around; I didn’t stop walking. I clutched my bag like an octopus. Then I found myself surrounded by a gang of sturdy old ladies, all dressed in black, pushing me on every side. I wheeled about, shoving them with my elbows, while they complained loudly about my impoliteness. On making my escape, I discovered they’d slashed my bag in three places, but I’d been holding it so tightly that I hadn’t even lost my pens. The next day I caught the train to Machu Picchu. The green mountains rose up like wedges all around me, the ancient ruins brooded in their high valley, and I was awestruck. Published in Youth Hostel Travel Magazine November/December, 1988. Two important yet unrelated things happened in Coroico. I finally managed to wash my jeans, and I discovered the answer to a question that had been plaguing me throughout my time in South America. The jeans had travelled overland with me from Ecuador to Bolivia. They had walked up a volcano, ridden from the Andes to the sea on a train, picked their way carefully through the animal section of Indian markets, clambered over Incan ruins, and sat for hours on innumerable buses. They were dirty. They had gradually stretched to accommodate the grime until only the bulge of my moneybelt was holding them up. I hadn’t been able to wash them in Lima because the thick winter sea mist was keeping everything in a state of stale dampness. I couldn’t wash them in Cuzco because my happy hostel had a prohibitive sign up saying Por Favor No Lavarse Ropas Aqui. And I certainly couldn’t wash them in La Paz, because it was snowing. But in beautiful little Coroico, two thousand metres lower than La Paz and four hours closer to the jungle, I had found the perfect place to scrub away the accumulation of three countries. I hung them out to dry in the warm afternoon sunshine against a backdrop of gorgeous semi-tropical mountain valleys framed in the far distance by snowcapped peaks. No pair of jeans every had a better view. By evening they were dry and I wore them to dinner, which was when I found myself once again being confronted by That Question. “Are you travelling all on your own?” asked the Texan accent, leaning over from her table for four. It was always the tone of the enquiry that disturbed me. The nuances of incredulity, pity and horror conjured up visions of fearful, lonesome dangers of insurmountable dimensions. If my questioner was a man, I tended to resort to a wave of the Women Can Do Anything banner. But when it was another woman, a sense of sisterhood had me groping for an answer to the real underlying question. In twenty-five words or less. I knew what they were asking. I’d felt that way before I left. I’d felt that travelling by myself was completely beyond me, and that even if I did manage to do it, I’d hate it. I was wrong. Travelling on your own is exhilarating. It gives you an incredibly strong sense of power and freedom. You are not tied to the whims of others, or dependent on them agreeing to your plans. You can do it all by yourself! And usually you don’t end up doing it all by yourself. You are never alone on the Gringo Trail. 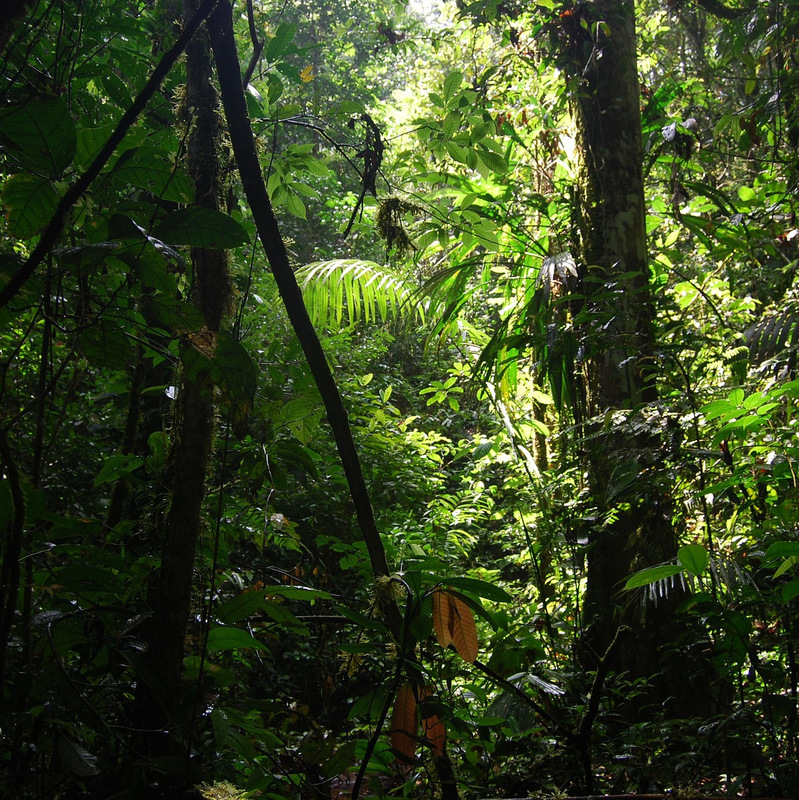 For example, I had set my heart on doing a jungle trip in Ecuador. Guided tours required a minimum of five people. I arrived in the tiny riverside town of Misahualli, hoping that the others wouldn’t be too far behind. Within hours I had been grabbed by a French couple to form a nucleus of three. Later the same evening I snared two German males and an Australian female in a vegetarian restaurant. We were all set. But you can’t respond to a yes/no question with a stream of anecdotes wrapped up in a lecture. Even if the question is pregnant with a multitude of concerns. In Coroico I came up with a reply that I felt suggested an image of sociability and independence happily combined.